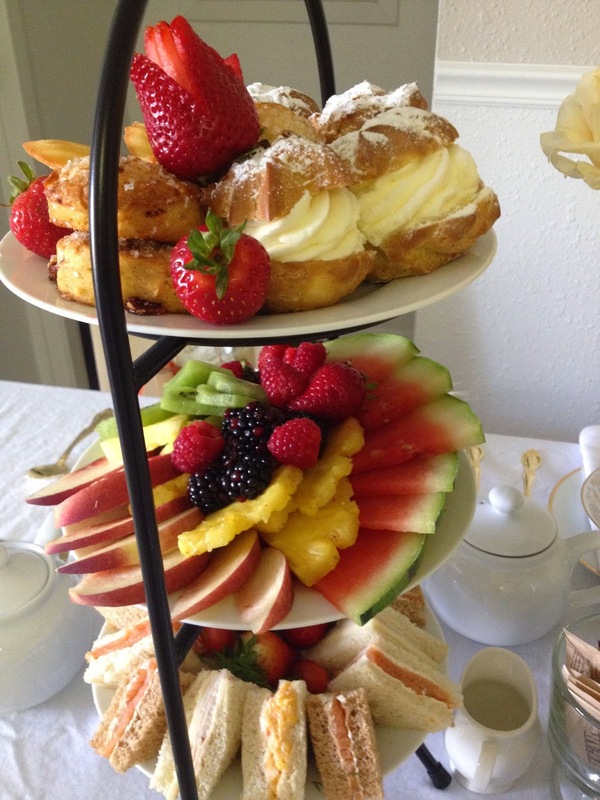 For the party, I had tea sandwiches, an extensive fruit platter, and sweets (cream puffs are my favorite dessert). I think if nothing else, one should always have fruit. It is easy to create a vibrant and colorful display with just fruit. I'm not advocating the kitschy fruit bouquets (overpriced and ugly), but I do recommend getting an assortment. 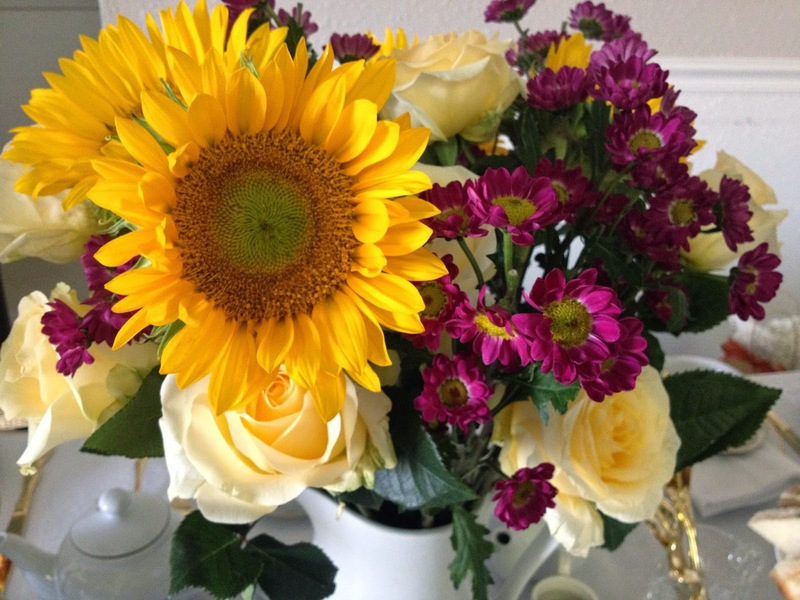 Another item I recommended is fresh flowers. Since my party was a farewell to summer (and a HUGE hello to fall), I went with late summer and early fall colors. My local Trader Joe's had a great display of sunflowers that I could not resist and I picked up the white roses (wrapped in healthy tetrapanax leaves). 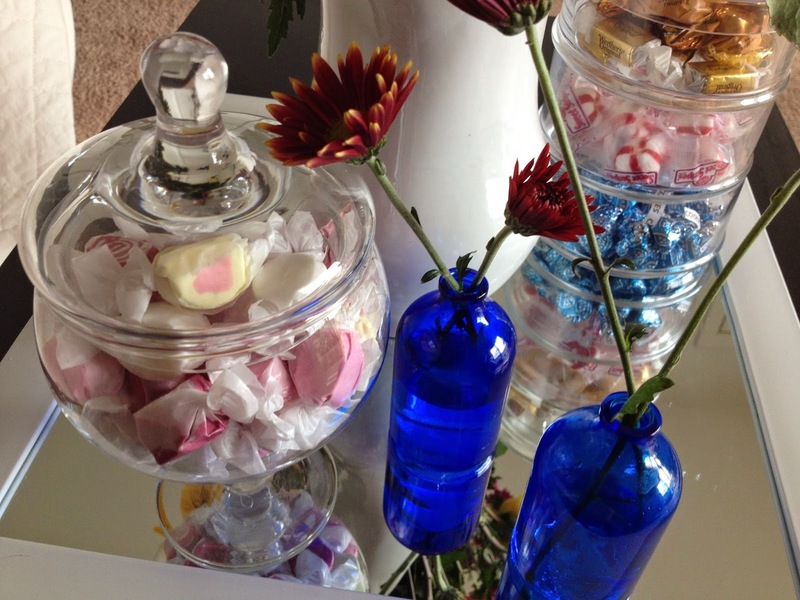 At home, I sorted and swapped the flowers from the various bouquets I purchased to create a fall centerpiece. For the place cards, I saw an adorable DIY from the brilliant Kelly at My Soulful Home. About 10 minutes before my first guest arrived, I decided to tackle the design (I know... very poor planning... but I ran into a snafu with the tablecloth). Being time crunched, I did a much simpler, low key version. 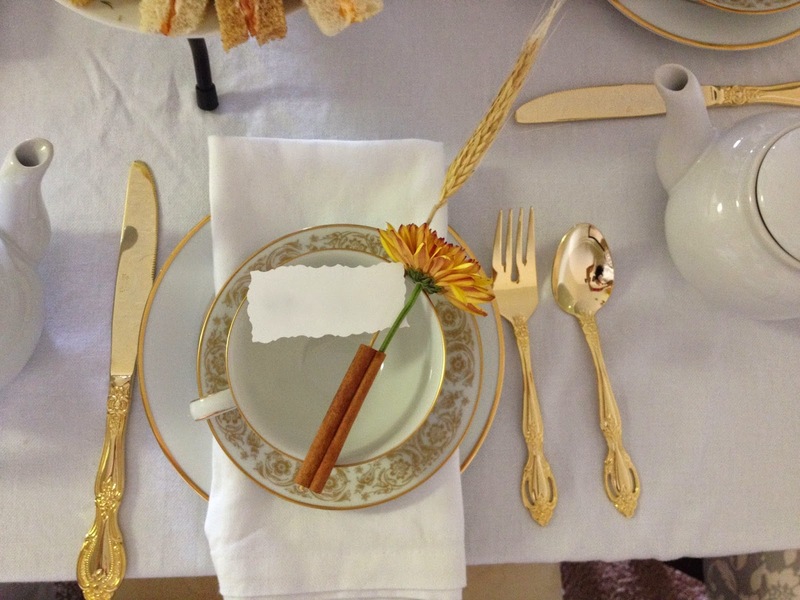 I just inserted flower and wheat stems into the cinnamon stick and added the name cards on top. Still, the flowers held up without water for several hours and the wheat of course lasted. 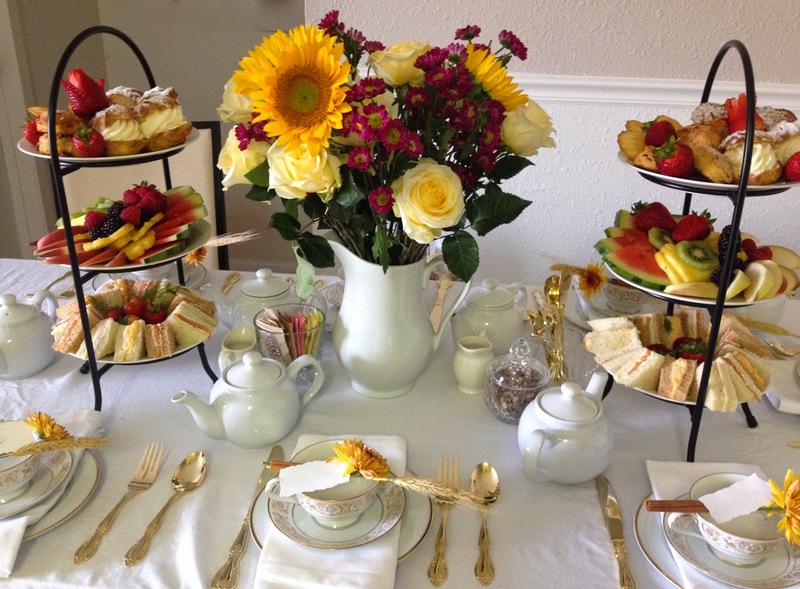 The china is a mix of my favorite Noritake Raphael tea cups and Noritake Guilford salad plates. The gold flatware was an incredible find from One King's Lane. Of course the most important element of a successful party is the guest list. I wish I could capture the conversation on film. It is really lovely being surrounded by such educated, smart, and funny young women. So long summer!! Happy Fall Everyone!